I actually had no idea where the Marfa mentioned in the byline was (it's a high-desert city in Texas!) but I had been to White Sands National Monument in New Mexico, the location shown on the cover. And as Kristi shared behind the scenes photos from the book, I was drawn in. 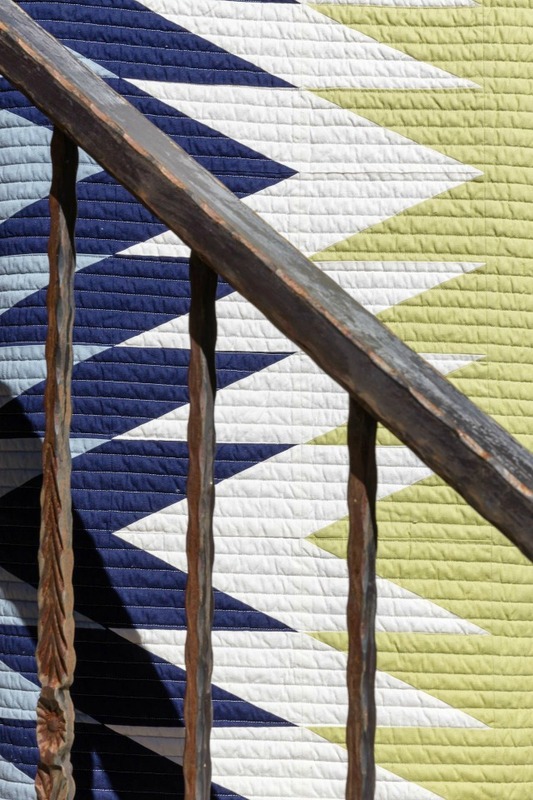 So different from my own aesthetic, I love the bold patterns and colors.... and all that straight-line quilting that somehow ties the collection together. Part travel guide and part quilt book, Southwest Modern really is a unique combination. 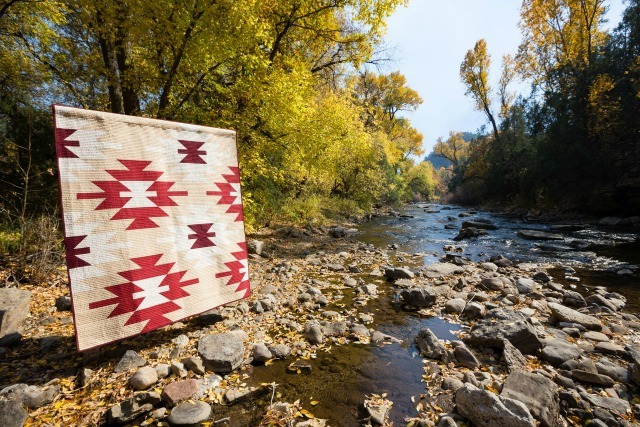 Besides the expected quilt patterns, Kristi shares some of her favorite places she's discovered in her travels, and of course they provide beautiful backdrops for her quilts. Lucky Spool has a reputation for making beautiful, compelling books, and this one's no different. 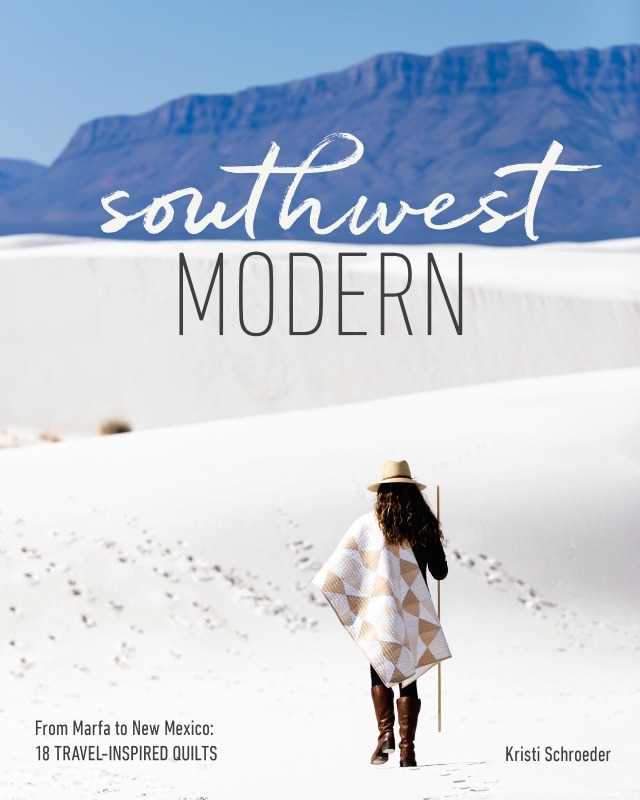 Whether you're looking for new modern quilt inspiration, a travel guide, or beautiful photography, this book has it all. These are beautiful . . . 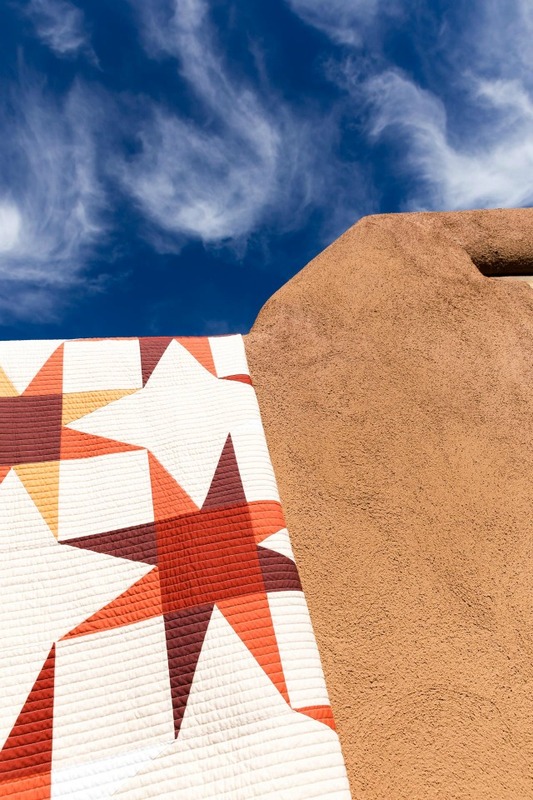 I love the inspiration from the Navajo culture. Are you going to make one? Kristi is coming to speak at our guild in March. I can't wait to get my hands on this book! Yes, the straight line quilting is perfect for her quilts. 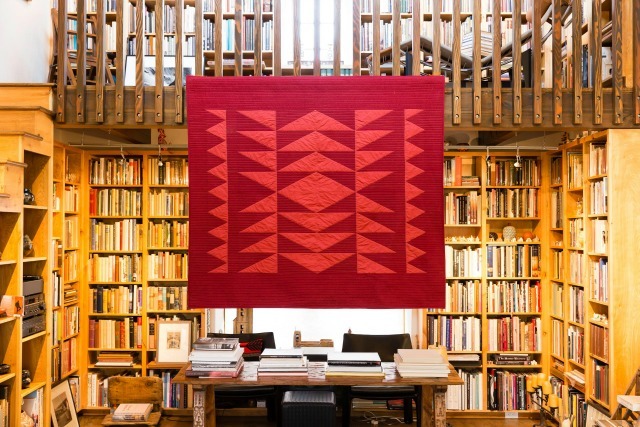 I saw that yesterday on Connecting Threads and was taken with the gorgeous quilts and photos. Beautiful! There are some striking and modern designs that are very appealing indeed! Beautiful pictures! I don't travel often, but enjoy seeing pictures of other people travels! The photos in the wild are just wonderful. 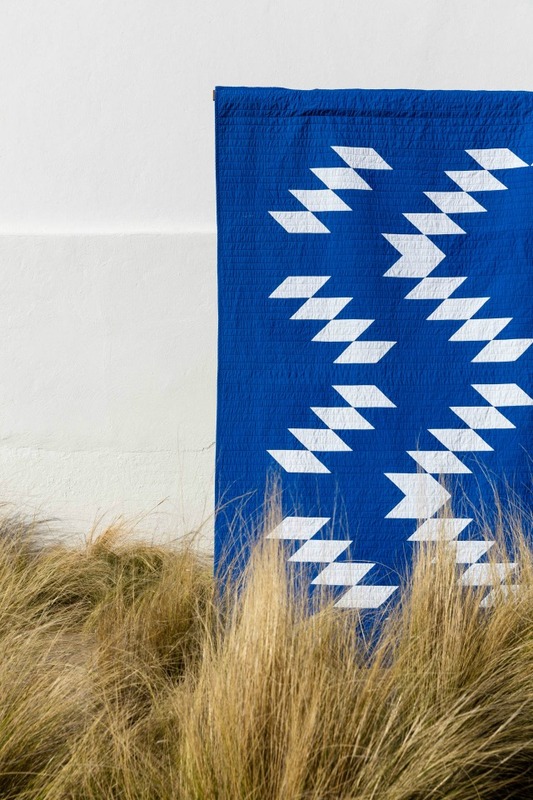 They really show off the quilts. Love her simple and strikingly beautiful designs. One word- geometrics! Don't you just love the many designs one can come up with? I also love her monochromatic beauties.